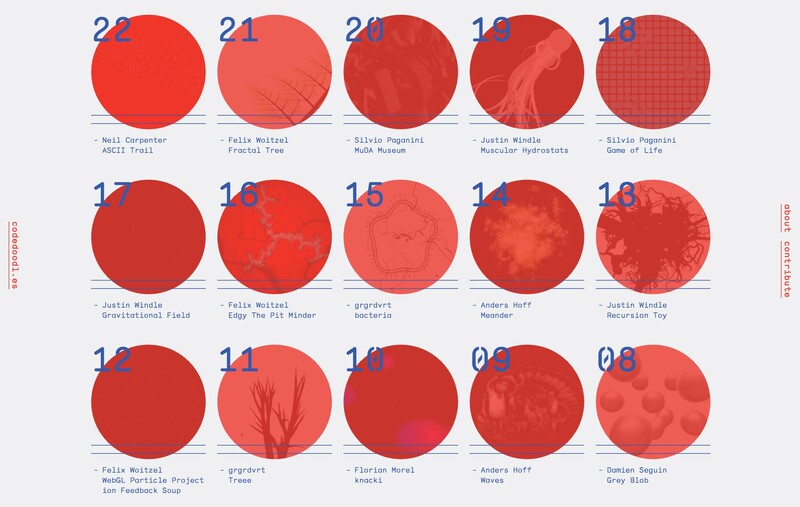 codedoodl.es is a new platform for showcasing small creative coding experiments built with web technologies. Our original idea was pretty simple: replicate “new-tab” browser extensions such as Earth View from Google Earth and Momentum — which show a beautiful visual every time you open a new tab — but replace these static images with interactive creative coding experiments. And so we’ve built codedoodl.es — setting out with the goal of becoming a collection of high quality code-driven experiments, that showcase how visual programming, playful and engaging interactivity, and generative algorithms can be explored through a web browser. The site currently has a small collection of doodles from some very talented coders, but we’re hoping to scale the content to a point where codedoodl.es may be considered a definitive resource for visual web-based experiments of this nature. The success and longevity of this project is entirely down to the quality of the content, so we’re really hoping we can persuade the creative coding community to get involved and contribute some of their past, present or future experiments. → If you’re interested in submitting something, you can find details on how to do so on the GitHub repo. 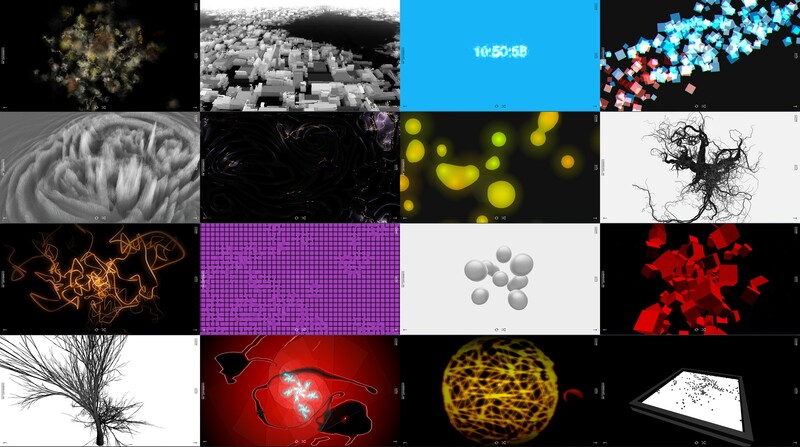 Successful digital art projects such as FRAMED* and MuDA over the past year have shown us that generative, code-driven art is becoming more and more mainstream. The aim of codedoodl.es is to generate even more interest towards this area, and put the spotlight on some of the amazing creative developers we know are out there. If you’d like to install the Chrome extension you can do so here, or you can keep up to date with latest doodles published via visiting the site or following on twitter. The original concept, site and chrome extension have been developed by FLUUUID, with huge thanks going to the talented authors who have submitted their work to be featured so far. I like internet things. Web design. Front-end dev. Making stuff. Cats. Sleeping.